Calling this marketing-speak odd would be an injustice to the word odd, instantly giving it a meaning never originally intended. It might just make something we all currently agree upon as odd, say, Miley Cyrus’ antics, seem almost girl-next-door normal. 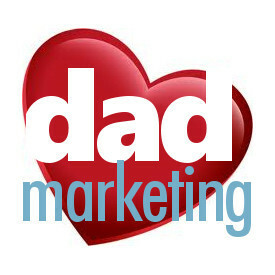 Thus, we here at dadmarketing can’t call this latest advertisement odd. Rather, Similac’s ad proclamation is off-the-charts anomalous. 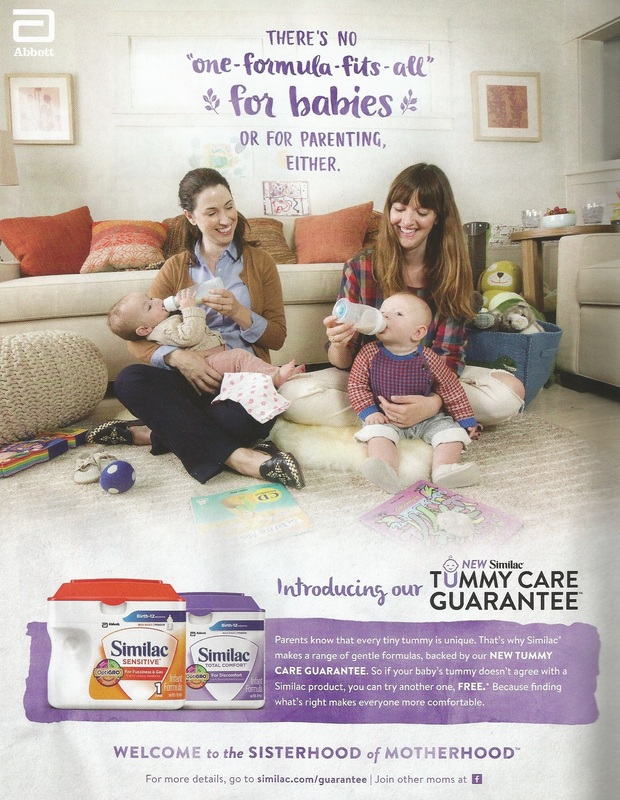 Here’s why: Similac, by way of its marketing message, slogan and ad copy (below), is saying that only moms are parents, yet its headline (above) tries to tell us something otherwise. Again, did you notice the slogan from which it can’t seem to let go? “Welcome to the Sisterhood of Motherhood”? There’s nary a dad in the universe who can relate to that, and we’re talking about a product called baby formula, not breastfeeding, nor a feminine item. Dads should be every formula makers’ dream, a sure-fire built-in customer for life, but Similac doesn’t seem to want it that way. Abbott, makers of Similac, has been touting this exclusionary “Sisterhood/Motherhood” slogan for several months now, and by it saying “there’s no one-parenting-fits all,” it sure seems to want it both ways: mild use of the word “parent” hidden behind its unilateral, sexist slogan. Besides, check out the exhortation at the end of the ad: why would dads even bother taking Similac up on its invitation to visit Facebook? It’s time to give this old-fashioned slogan a rest, and for Similac to consider that dads just might be part of its customer base, too. It’s no fun for dads to get ignored month after month. It’s campaign preaches a non-judgmental approach, but it has judged dads loud and clear: they don’t count. When it comes to taking care of babies, it’s not just a motherhood. It’s also a fatherhood. And above all, it’s called parenthood. What the hell Similac, I would have thought the hell they received for their Super Bowl ad would have gotten their attention!